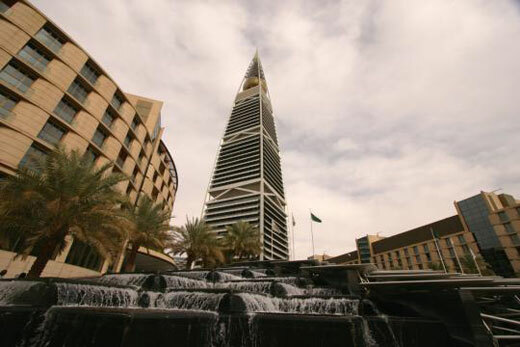 Known as the first skyscapper in Saudi Arabia, the Al Faisaliah Complex was mentioned by Syed Mobin Architects(www.mobarch.com) as one of top monolithic skyscappers in the world. The complex developed as a mixed use place range from office functions to retail mall. The open structure of the tower contains a glass sphere at its top, which houses a restaurant space and an observation deck. The tower’s pyramidal form evokes a weighty solidity, yet Foster combines an affinity for structural expressiveness with the sculptural elegance that creates a tower of paradoxical lightness.